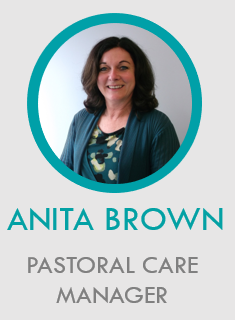 Here at HPJS we have two Pastoral Care Workers (PCWs), Anita & Laurena, who listen to and provide emotional support to any child/children who are experiencing difficulties and who are worried & upset. These can be problems they are facing either at school or at home that impact on them emotionally and affects their learning. 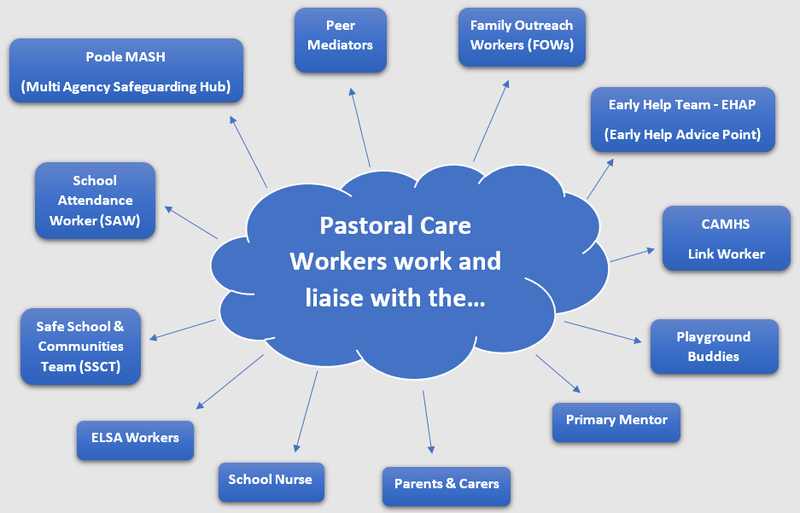 All children in school can access pastoral care support and they can either refer themselves or are referred by teachers/parents etc. There are Listening Ear forms to complete that all children can easily access if needed. With the 1-1 work, children are listened to and supported with specific therapeutic work focused around their emotional needs. 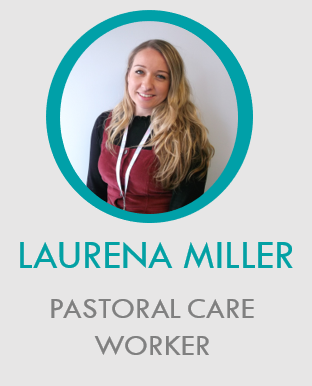 As well as individual work with children, the PCWs run various weekly groups in school. See diagram below. There are two other important groups the PCWs run every half term which are our Forces and Young Carers Groups. We have many children in these groups and they support each other by sharing their thoughts & feelings, as well as having fun & doing various craft activities. We usually have around 30 – 40 pupils in this group who have opportunity to talk with other children who experience similar fears & difficulties. These include having to move house/school regularly, as well as the worry of a parent being deployed and working abroad in potentially dangerous situations. We often have 20 – 30 children in this group who have someone in their immediate family who has a physical or mental health issue which requires them to give extra care & support within the family in some way. 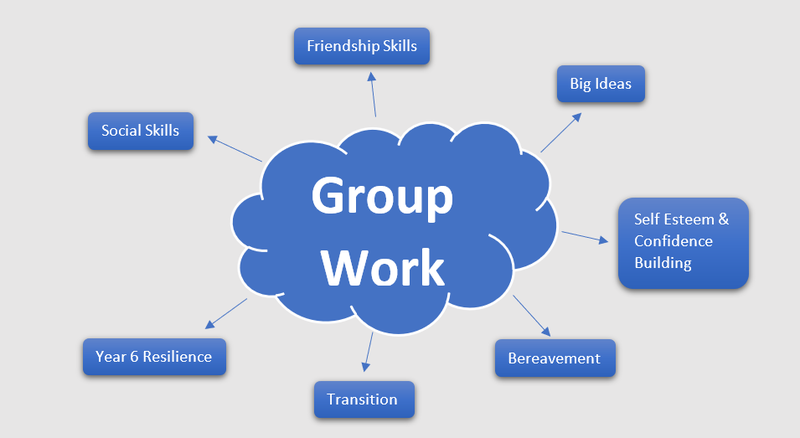 Children benefit from attending this group as they can share how they feel and the issues they face at home with each other. 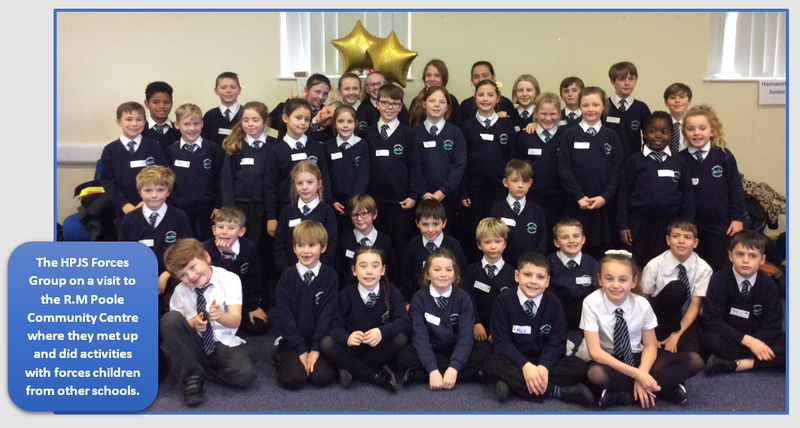 Part of the PCW’s role in school is to train up Peer Mediators and Playground Buddies who are Years 5 & 6 pupils who have the necessary skills to help & support other children in school with their friendships & play on the playground. Our aim is to work with children and their families and provide early help intervention to improve outcomes and to prevent problems/issues escalating further. PCWs are able to refer or sign post to other agencies for support if needed. The Family Outreach Worker does a monthly drop-in for any parent/carers to attend so they can discuss any parenting or family issue they may have.